Windows Vista Ultimate is the most comprehensive edition of Windows Vista. It is the first operating system that combines all of the advanced infrastructure features of a business-focused operating system all of the management and efficiency features of a mobility-focused operating system and all of the digital entertainment features of a consumer-focused operating system. For the person who wants one operating system that is great for working from home working on the road and for entertainment Windows Vista Ultimate is the operating system that lets you have it all. 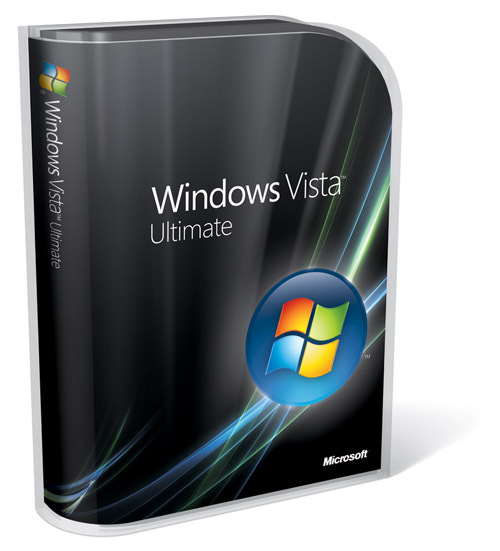 Windows Vista Ultimate includes all of the features that make it easy to remotely connect to business networks. So when you're working from home you'll have advanced networking capabilities such as the ability to join a domain support for Group Policy and features such as Remote Desktop. Windows Vista Ultimate also includes Windows BitLocker? Drive Encryption that provides new levels of protection against theft for your important business data whether you are at home on the road or in the office. Windows Vista Ultimate delivers all of the entertainment features available in Windows Vista Home Premium. It includes everything you need to enjoy the latest in digital photography music movies analog TV or even HDTV. Windows Vista Ultimate has great tools such as Windows Photo Gallery and Windows Movie Maker to ensure that you have everything you need to collect manage and edit your digital content. It also includes Windows Media Center for turning your PC into an all-in-one home entertainment center. Windows Vista Ultimate delivers all of the features available to both business users and home users. It is the ideal solution for a small-business owner who wants a single PC that he or she can use at the office on the road and at home. It is also the ideal solution for someone who wants a home PC that will be used primarily for entertainment purposes but that can also be used for business purposes such as connecting to a corporate network.